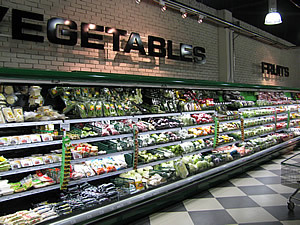 Presto Grocer is a Malaysian based supermarket chain located in the Klang Valley. We started in 2006 with a humble store in Damansara Perdana and now have 4 stores including an online supermarket which delivers to most areas in Klang Valley. We aim to give our customers the cosmopolitan supermarket experience by providing good quality fresh produce, a good range of imported and local products and great service. Our online supermarket offers everything we have on our supermarket shelves so if you’d rather do your grocery shopping at home at your own time, you can! We deliver to homes and offices in most areas in Klang Valley and we are continually expanding our delivery areas. All you have to do is browse this website, select your groceries, choose when you would like it delivered and ‘Hey Presto!’ we will be at your doorstep.